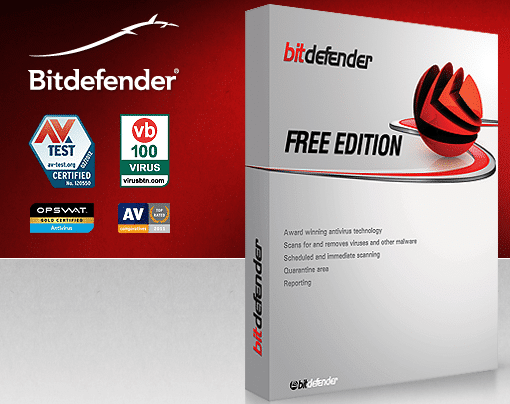 Bitdefender is a relative newcomer to the antivirus scene, but we were very quickly impressed when we started reviewing their Windows antivirus. The program stands out for its speed, ease of use, efficiency, and modern interface. But, how does the Mac version do? We tested out Bitdefender Free for Mac 2017, and we’re reviewing it in this article. 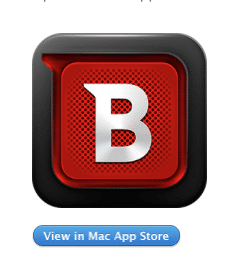 One thing that should stand out immediately to most Mac users is that Bitdefender actually managed to get onto the Apple app store. That’s quite rare for an antivirus of any kind. However, the free version only includes a scanner (no firewall). 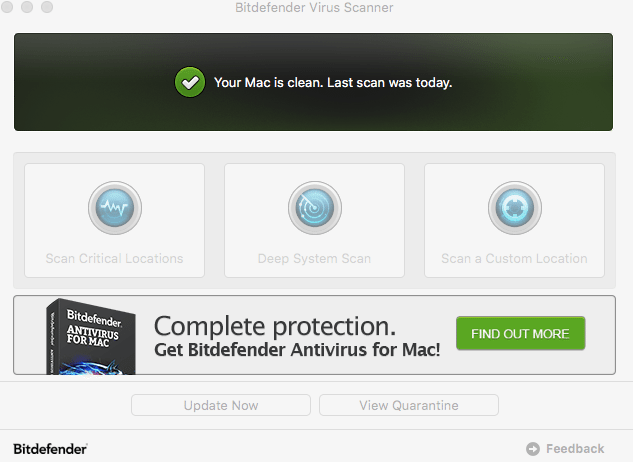 Bitdefender is a free virus scanner that works on Mac OS X computers. It includes basic scanning functionality that allows you to scan your entire computer, scan critical locations, or scan a custom location such as a file or USB. That’s it. It also has the capacity to put any infected files that it finds right into quarantine, where they cannot hurt your Mac. Update Malware Signatures – This is a great feature that means that when you scan your computer, you will be scanning for the latest malware signatures from Bitdefender’s vault. Choosing yes on this option will slow your scans down, but it does mean that you will be more protected. Updating malware signatures should take between 30 seconds and 10 minutes depending on how long it’s been since you last updated signatures. Deep System Scan – The deep system scan attempts to scan your entire computer. However, Apple doesn’t initially offer full computer access to apps. This means that you will have to allow access for maximum protection, which will require you to select your Macintosh HD 1 and allow Bitdefender to scan it. Bitdefender will walk you through this process. The scan. For my deep system scan, I started out with 15 different items for it to flag, including a virus hidden inside of a key generator, a key logger (which not all antivirus programs will catch), and a few other random potentially unwanted programs, which won’t cause too much harm on my computer while I test. (Incidentally, I also shut off my network to avoid spreading these for the test). Bitdefender found 13 of them in an hour and 18 minutes. That’s not bad, considering it found all but two of the potentially unwanted programs and all of the viruses. It is also one of the faster full system scans I’ve tested. Scan Critical Locations – Scan critical locations is a faster scan that mainly looks for the primary locations where you might download or install a malware program by accident. This scan took about 3 minutes each time, and is actually quite effective. With all 15 of the potential items to flag, the 3 minute Critical Locations scan found the three located on a primary library drive. Ty library drive. That isn’t bad. It’s not 100% effective, but it can help. Scan a Custom Location – Scan a Custom Location allows you to scan folders, USB drives, and external hard drives. This is great if you want to scan something you’ve just downloaded, want to verify that a USB flash drive is safe, or otherwise just want to scan one thing. I scanned a folder which contains 8 of my viruses to get started. The scan actually took 18 minutes but it did find all of them. You will definitely notice that when you go to install Bitdefender from the Bitdefender website, the setup is extremely confusing and it is quite difficult to actually find what you are looking for. Bitdefender sort of does this on purpose to try to get you to download the premium version. If you want the free version, the easiest way to go is to open the Apple App Store, search ‘Bitdefender’ and install it from there. 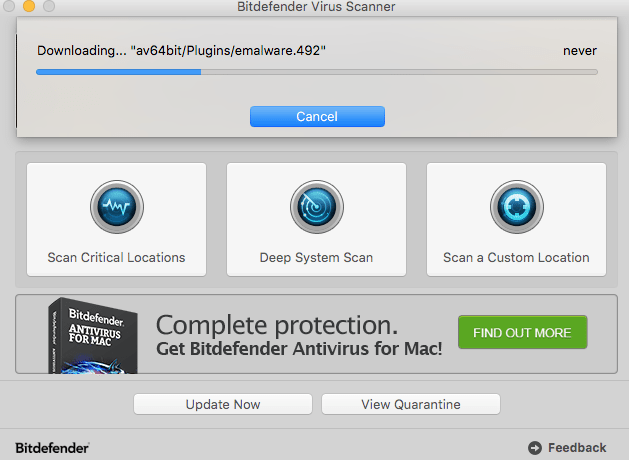 Bitdefender Virus Scanner for Mac is surprisingly effective, easy to use, and very very simple. While it seems stripped down compared to the premium version, and compared to options like Avast, it has a lot to offer, including very low system impact, fast scans, and effective scans. If you are expecting advanced features, you definitely won’t be happy, but if you’re okay with just the bare minimum, then it will work. The only real disadvantages of the program are that you do not get a live firewall to warn you about potentially infected files or websites, which is a big disadvantage if you’re frequently on risky sites. 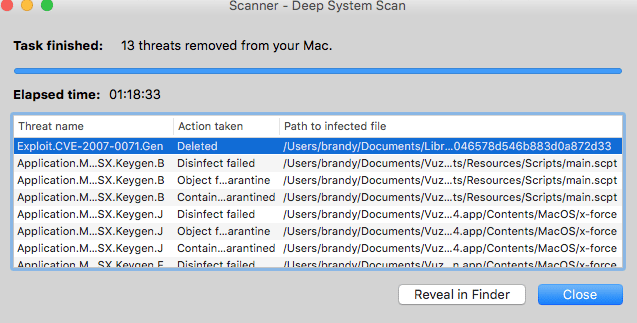 That aside, if you just need a scanner for files, want to occasionally make sure that your Mac isn’t infected, and want to scan folders and flash drives as you get them, it is a really great choice. 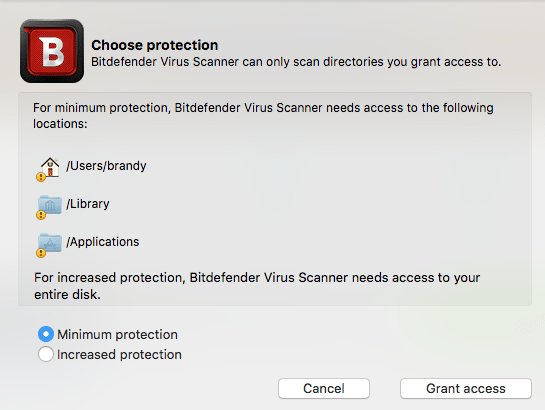 With fast scans, stripped down features, and accurate malware protection, Bitdefender Virus Scanner for Mac has a lot to offer, especially for users who don't want to mess with a lot of features. With fewer features, no advanced options, and no firewall, Bitdefender Virus Scanner isn't for everyone.